I once again ask sorry from all the devotees of this group. SaiRam shreya ji there is nothing to feel sorry. There is no sorry among us. Even we all share some mails WHEN WE COME ACROSS SOME GOOD ARTICLES. Being in this Sai family never ever feel sorry. sharing our thoughts and problems. always feel she is a God sent Gift to us. This is an open mandir of Baba. In My opinion you didn’t do anything wrong by posting this miracle of Sai Baba. Unfortunately this forum is going though a testing phase. Probably Baba is testing thsi forum and all the members of this forum. So my dear sister don’t be sad. Have faith in HIM and forget everything. I think my baba wants me to jump in here and take all the blame on me or should I say as he always does... consider him the doer of everything. No one did anything on their own. Baba ji wanted it to happen this way. Few days back I was browsing the Experiences of Sai Devotees column on forum and came across the same experience posted by Shreya ji. That was the original post. Shreya ji had not posted the experience yet (couple days before her post). It was the original one that was posted I believe sometime in 2004 or so (I could be wrong about the date). After I read that experience, I was amazed. Me, my sister and my mom always talked that we wish we would have known about Veena ji's Amrit Vani and this forum before, may be with the tons of prayers we could have saved my brother and made Sai change the destiny. 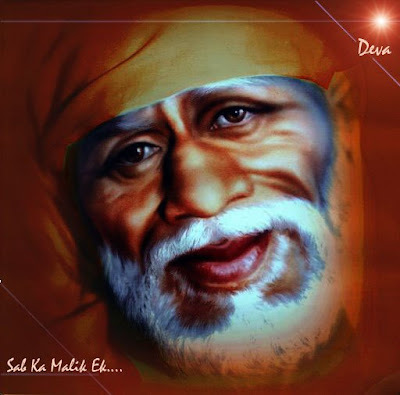 Then to give my mom and my sister courage, I told them this experience (Oiginal post same as Shreya ji's post) and told them that how sai has proved that we all must suffer from the past life karma’s and it is even hard for him to free us from that. He also had to go to the human being the way it is stated in the experience to ask forgiveness for his devotees. He cannot even overwrite the past karma bandhan. We need to just pray him to forgive us and only then he will help. It was a big help for my mom and sister. I told the same experience to my husband. He believes in God but I cannot call him staunch devotee. He has his own ways of trusting God. So, he goes, this cannot be possible at all. I find such miracles hard to believe. I told him, I will show you the post and you read it yourself and then you will believe. I went to the forum again and looked for the same post. I did not find it since I had just come across that post while browsing. I was short of time so I stopped searching and tried to forget about it. I also wanted to share it with my friends but did not get a chance to get to it. It was hard for me to forget about it and move on as I really wanted to show it to my friends and husband. Couple of days later, shreya ji posted the same experience. I was amazed, Baba had kept it right in front of my eyes and I got to it without working at all. I shared it with my friends and husband and they were also surprised. Put the logic together, as you all said it is such an old post why Shreya ji had to get it now and post it. Why I had to come across it few days back and look for it again. It might seem like a co-incidence but my faith says it is not. So, please do not blame anyone. No one had bad intentions behind it. Baba ji simply opened up doors for his devotees. Your leelas are great baba. 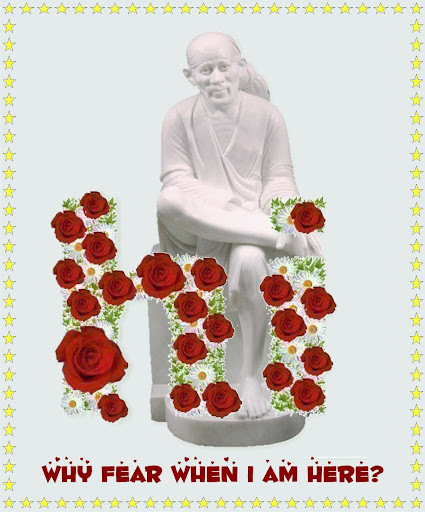 OMSAIRAM!Sai baba you only know your leelas. BABA bless this form and all of us with devotion & shudh bhakti. BABA bless us to always do your naam simran & darshan of your holy lotus feet. Im really happy that u got to read this experience again. Thanks so much. Im sure that SAIBABA will bless urself, ur mother, sister & ur husband.